On the day we were at Angkor Wat we met this laughing man and asked why he was so happy. 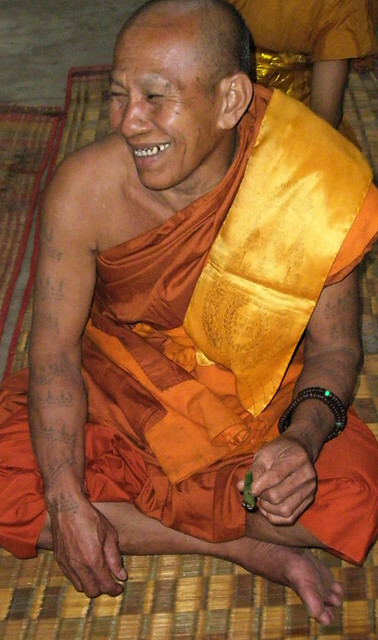 One of the monks who spoke some English told me that he had just achieved his lifelong goal of becoming a monk, and it made him so happy that everyone around him was happy too! More on Ailsa’s Travel Theme of Laughter.